Is Ruffec the Perfect Place for your French Property? Home > Essential Info > Property in France > Is Ruffec the Perfect Place for your French Property? Even those of us who crave the peace and seclusion of the French countryside need access to shops and services. And so it makes sense to find a base or holiday home in a small rural town like Ruffec that offers the best of both worlds. Here, surrounded by dark, cool forests and vast swathes of sunflowers, you can also find supermarkets, restaurants, bars, hotels and all essential services. It's not so much that Ruffec, or its shops and markets, are unique. It's simply that Ruffec does it so well. Not content with a once weekly market, Ruffec opens its doors to the traders and stallholders on both Wednesdays and Saturdays. So, if you've developed a taste for a particular local speciality, you can pop back and replenish the stocks for the weekend. What's more, Ruffec's markets offer a vast range of goods and even include livestock at times, so if keeping chickens or ducks has its appeal, this is the place to buy them! Everyone loves French markets, and we Brits are always attracted to living near them. There's a colour and vibrancy to a French market that you just don't seem to find at home in Blighty. If you're looking to buy a holiday home, choosing somewhere with good transport links to/from the UK is essential. Ruffec is ideally located for this. It is conveniently close to Poitiers and Limoges airports for cheap flights, with Poitiers also having a TGV station. Ruffec has its own well connected railway station too, so train travellers can simply hop onto a TGV then finish the journey with a local service to Ruffec. Meanwhile drivers will find the N10 non toll motorway makes travelling by road simple and fast. Poitou-Charentes is one of the best places in France to find property bargains. Currently on the market around Ruffec there are numerous property options at truly amazingly low prices. A building plot for just 14,000 Euros? A beautiful traditional townhouse to renovate at only 33,500 Euros? Ready to move into (or rent out) home in town at a mere 39,000 Euros? And that's just a taster of what your money will buy you in Ruffec. No wonder we Brits love the area. As much as the British people love bargains, we also adore renovation projects. Somehow there is nothing that appeals to us as much as an old French property that has fallen into a state of unloved disrepair. We spot the potential, love the price and can't wait to get started on the transformation. And, unlike in some areas of France, there's no shortage of renovation opportunities around Ruffec. Charentaise homes and farm properties simply ooze charm and authentic character, and are crying out for the love and attention required to restore them to their former glory. Buying a property in France as an investment makes financial sense. But making a sensible investment requires a little forethought. First, you have to pick the right location. It needs to be in an area where people want to rent or buy property. It needs to be accessible from other countries, and not too remote from main towns and motorways. Then of course, it needs to be on sale for the right price. Property in and near to Ruffec can be ideal for investment purposes. All nationalities love Poitou-Charentes, so when it comes to selling, there's no shortage of interest. We've already seen how well connected the town is to air, rail and road routes. And, with current prices among the lowest in France, the price is right too. Owning a home in France is often financed at least in part by running a gite or two alongside the main property. But it isn't easy in many regions of the country these days to find suitable properties. Here's another point where Ruffec scores high points. It's not only got some perfect properties for this type of project, it's also very popular with holidaymakers as the area has so much to offer. 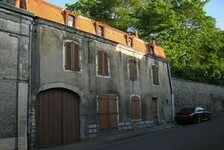 So, an investment in property with a gite or two in Ruffec can be a really great idea. There are certain parts of France where you will find the archetypal French dream home. You know the ones. They're made of honey-coloured stone, weathered by years of hot sun and winter winds, and their faded blue shutters blink sleepily at the windows. Often with a pretty garden or courtyard, they sit in bustling little market towns, or just outside a town, amid fields of golden sunflowers or on the edge of a cool, shady forest. Poitou-Charentes, and specifically Ruffec, are such places. Charentaise houses have a traditional style and character that it seems we British cannot get enough of. There are old stone longeres, country cottages, farms, barn conversions and even watermills. There are properties with acres of land, and properties with outbuildings suitable for a vast variety of uses. If you can't find your French dream home around here, you're just not looking! Sunshine is almost guaranteed in the Poitou-Charentes. Well, OK, it's not promised to last every minute of every day, but the sunshine record for the region is second only to that of the Mediterranean regions, although the summer heat is a little less savage than in the far south of France. And, winters tend to be mild thanks to the Gulf Stream effect from the Atlantic. So the climate is about as perfect as it gets, giving Ruffec an even greater appeal to sun-starved Brits. There's another very good reason why Poitou-Charentes is such a popular area. The region is simply popping with attractions and activities. The unspoiled countryside is an enormous outdoor playground. Whether you're into walking, cycling, horse-riding, fishing, swimming or boating, you'll find it here. The countryside is gentle and bucolic, the hills not too steep for those cyclists who haven't yet reached Tour de France fitness levels. There are leisure lakes and rivers where you can enjoy water sports or just laze around in the sun. Or you'll find lovely walking trails through sunflower fields and forests. Golfers can choose from no less than 22 courses in the region! Then there are theme parks like Futuroscope in Poitiers and nature parks like the Valley of the Monkeys in Romagne. There's easy access to the coast over to the west, with islands to visit and all the fun of the seaside to be had. Brandy lovers will enjoy a day in the famous town of Cognac, while culture vultures can soak up the rarefied atmosphere of Montmorillon, famed for its books and printing heritage. Last but not least of the many attractions of Ruffec is the gastronomy. Poitou-Charentes and the Charente are home to all manner of good things to eat and drink, and the markets are simply the best places to buy them. Think goats' cheeses, Charentaise beef, fresh fish and seafood from the coast, river trout and rich, creamy butter. Add a glass or two of Cognac or Pineau, and you have a wonderful taste experience ahead. Of course, you may choose to try the region's cuisine in local restaurants too. Ruffec is well equipped with these, and very good they are too. So, there you have it. Ten good reasons to take a serious look at Ruffec on your next house hunting trip to France. There are more reasons, of course. Friendly neighbours, plenty of English-speaking people to meet, and a whole host of cultural activities to get involved in. Once you've got to know the area you'll add your own favourites to the list. So, what are you waiting for?